Welcome, young readers! This time on ScribbeFun, you’ve got something – well – deadly to do! 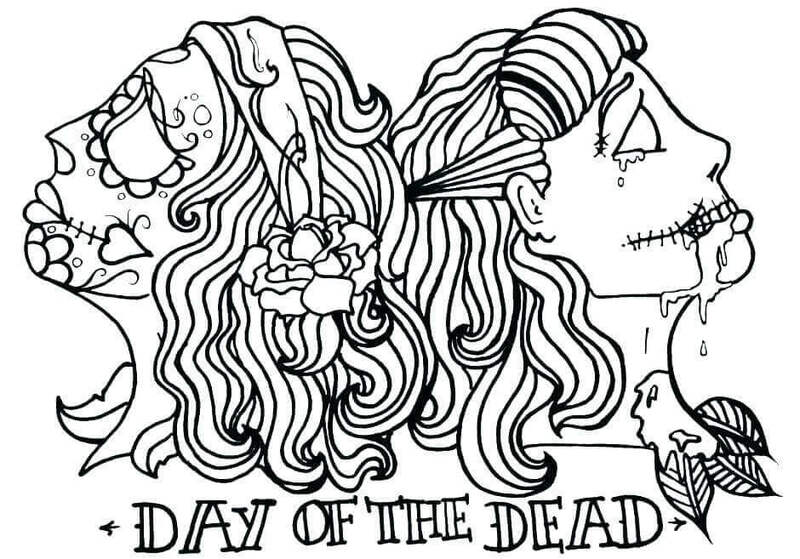 We’ve got you free printable Day of the Dead coloring pages. Mostly because you’ll be celebrating Day of the Dead or Día de Muertos with us! The Day of the Dead is celebrated in Mexico, where the Mexicans pray for the family members who have died. They believe it will help the dead in their spiritual journey. This year, the Day of the Dead starts on October 31 and lasts all the way to November the second. 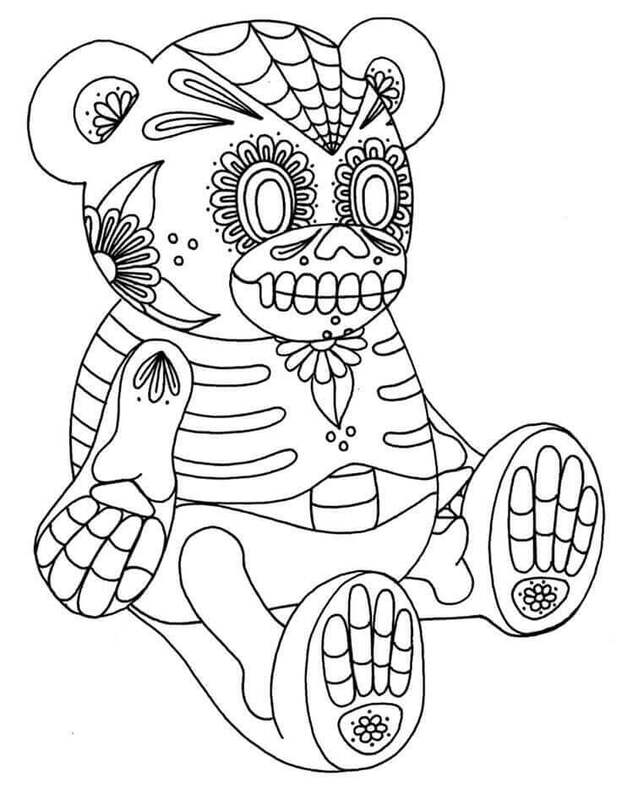 Alright, amigos, get ready with your paint set and start filling these free day of the dead coloring sheets to print. 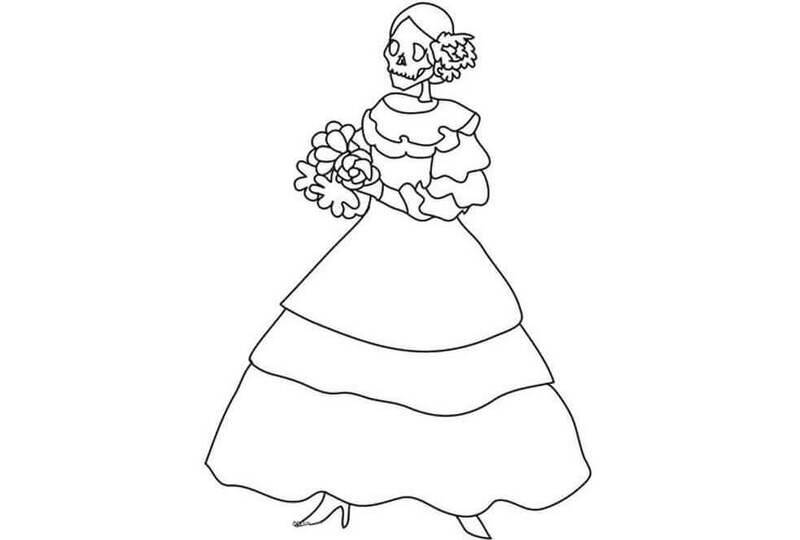 The dead members are expecting you to color them great this season so that they can look amazing on Day of the Dead this year! This is Darth Vader, a fictitious character from Star Wars. He is ironic because he is both – deadly and dead! Darth Vader was an important character in the Star Wars series until he died in the 6th episode. 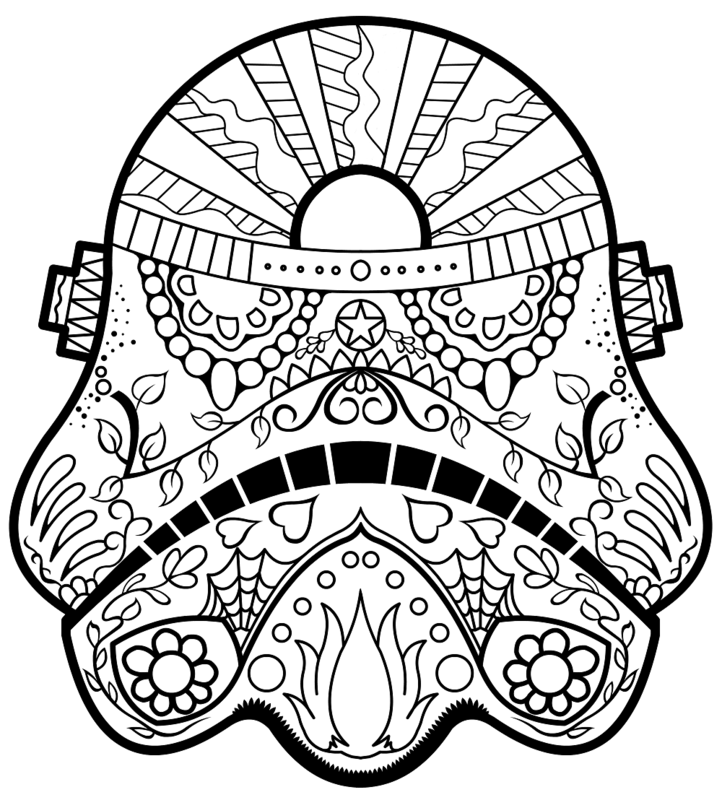 The Star Wars group has paid him respects this Day of the Dead, so color him well before he is presented at the event. Here are two twins from Mexico – Gracie and Daisy. They were both born together and they both died together. Can you notice how similar they look in this image? Gracie is all decorated with tattoos while Daisy has a stitched face and eyebrows. Color their features similar but highlight the difference in their fashion taste. Here is the picture of a dead bride dressed up in her dressing gown and decorated with roses and leaves. The skull is all that is left of her face now that she is dead, but you can still make her look beautiful by painting the image beautifully. On the Day of the Dead, the Mexicans have their special feast with all sorts of delicacies and decorations. Can you notice the table mat with skull print? 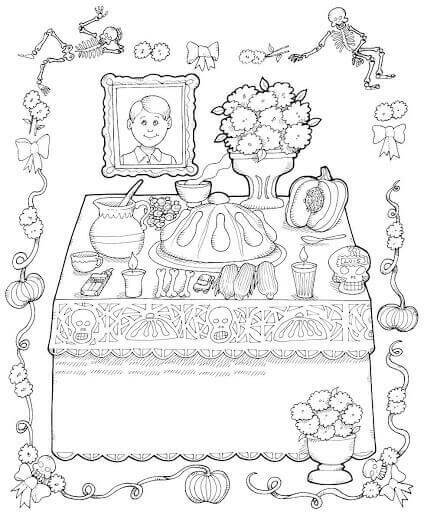 Color this Day of the Dead Feast image so that the decorations look attractive and the food looks delicious. Here is an image of the Cemetery of the Dead. Notice how the events are being carried by skull humans, therefore symbolizing the dead. 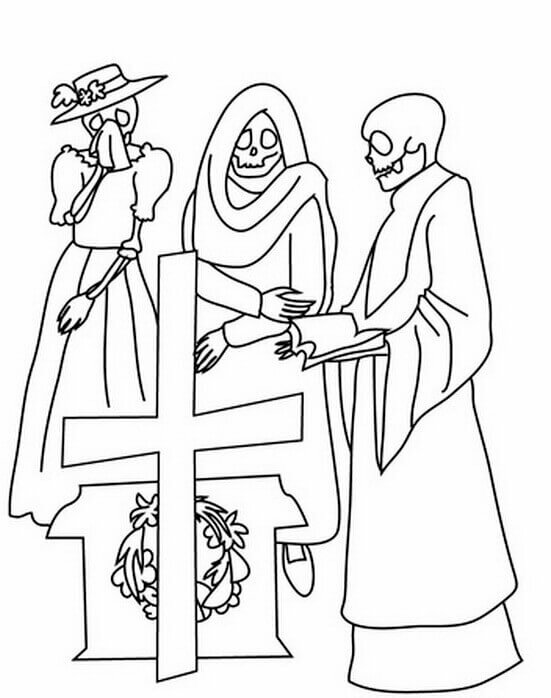 This image is one of the many methods by which the Mexican people represent the spirit of the dead, showing how even the dead live a normal life in the spirit world. Here is a skull woman from the dead. On the Day of the Dead, her family is going to pray for her prosperity in the spirit world. Before they can do so, make sure you color her robe velvet red and her flowers pink, just the typical Mexican way, so that she looks appealing. The Day of the Dead prayers are done in front of a pyramid on which skull statues of all the dead members of the family are placed. 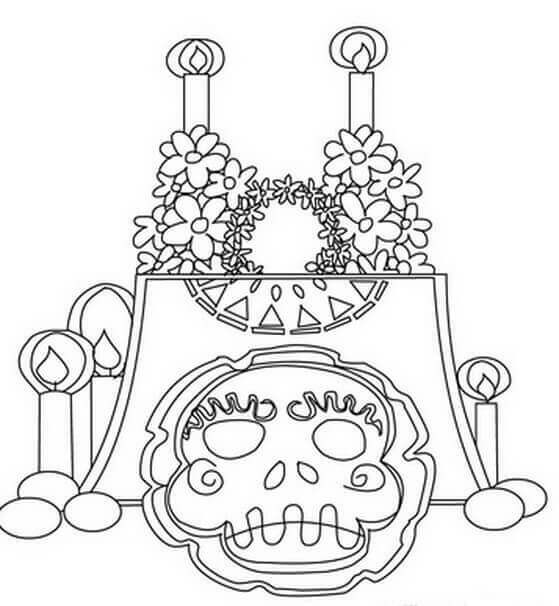 The here is a small pyramid with one skull, signifying one dead member, with candles around. This one is decorated as though it is a coffin. Color it gracefully. Here is a girl celebrating the Day of the Dead. She has tattooed her face so that it looks like a skull. Skulls are used on the Day of the Dead for people to connect themselves with the dead. Use a wide range of vibrant colors to make her tattoos look as gorgeous as her. 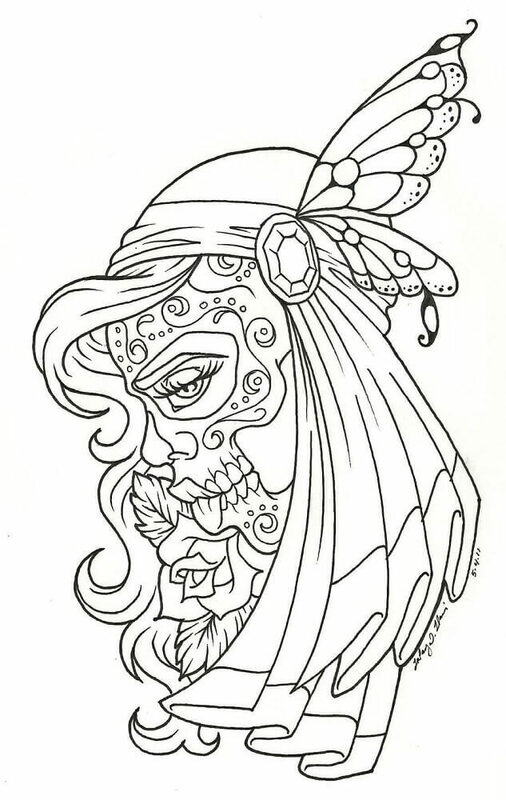 This image shows another design for skull tattoo. 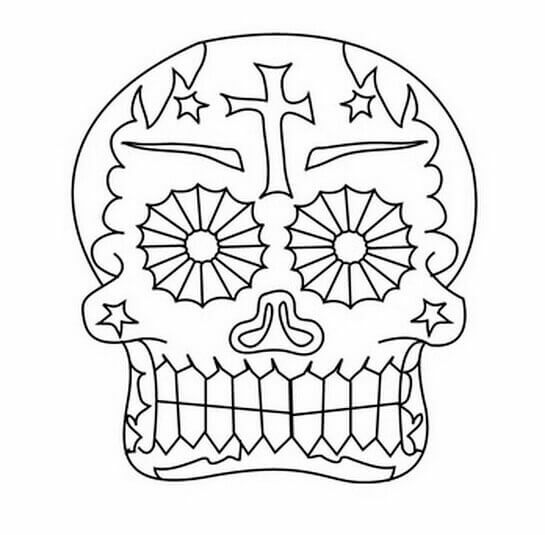 This is a famous design in Mexico, where the eye region is tattooed extremely huge, so as to make it look like eye sockets as seen on the skull. The sides of the lips and the cheek are also lined with teeth and flowers. This is one of the most common tattoos people do in Mexico on the Day of the Dead. 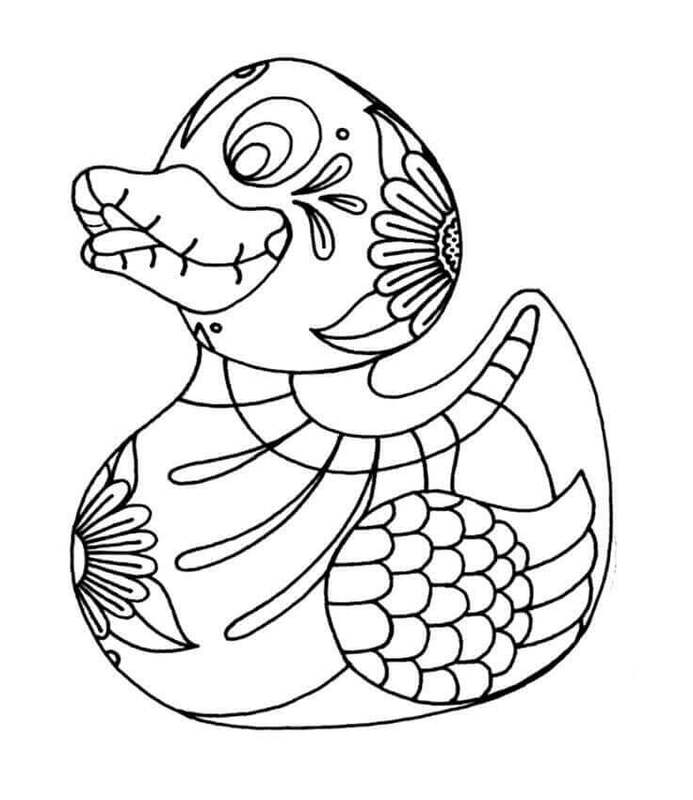 Add your touch to this tattoo by using unique colors and share your expertise in a multicultural context! There goes a butterfly style Day of the Dead design. Notice the butterfly on the hat? Make sure the butterfly is yellow and black in color, and the ribbon on the hat is red to make the design Mexican in nature! 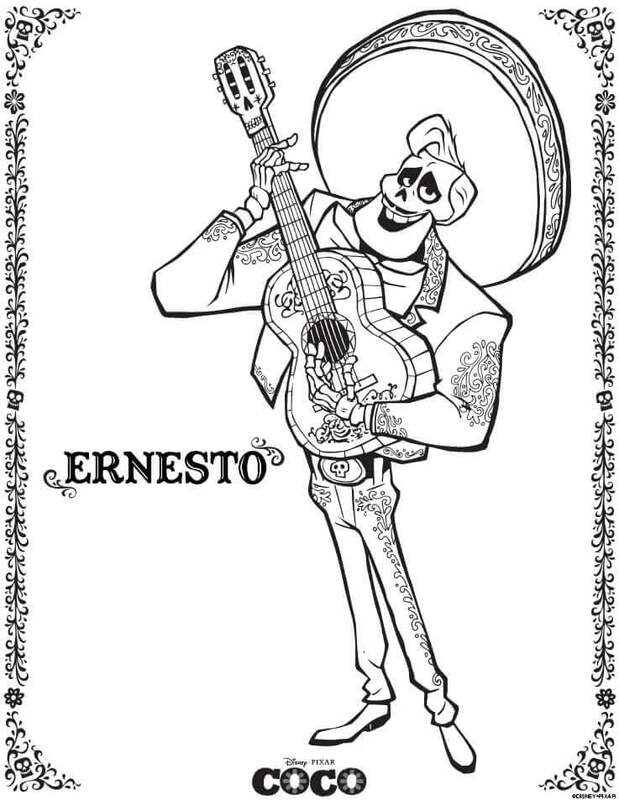 This is Ernesto de la Cruz, the antagonist character in the film Coco. The film is based in Mexico and the Day of the Dead ceremonies. It shows the spirit world of the dead. Ernesto is known for his good looks, sheer charm, and great musical sense. Show his charm with clarity using your colors! 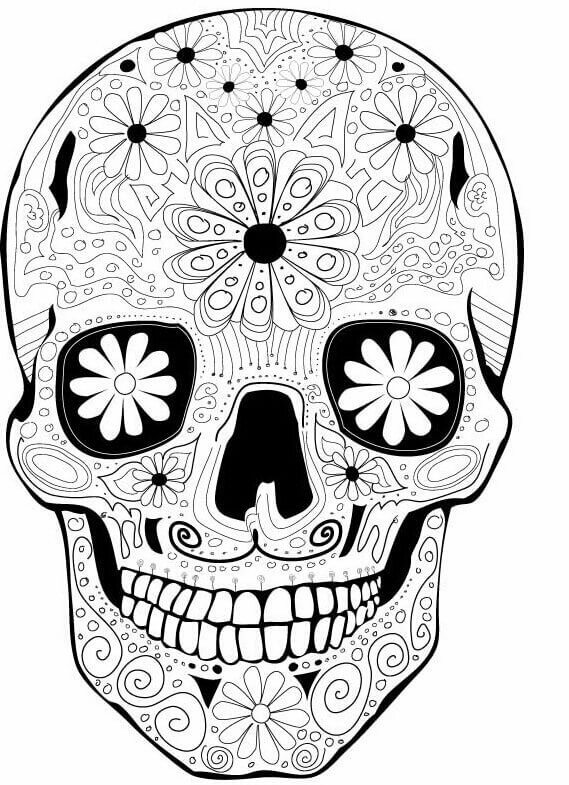 Skulls are just everywhere in the Day of the Dead, even on this web page! Day of the Dead is just impossible without skulls. Here is a chilly looking one, with a spider notched onto the head and eyes of the deadly red crosses. 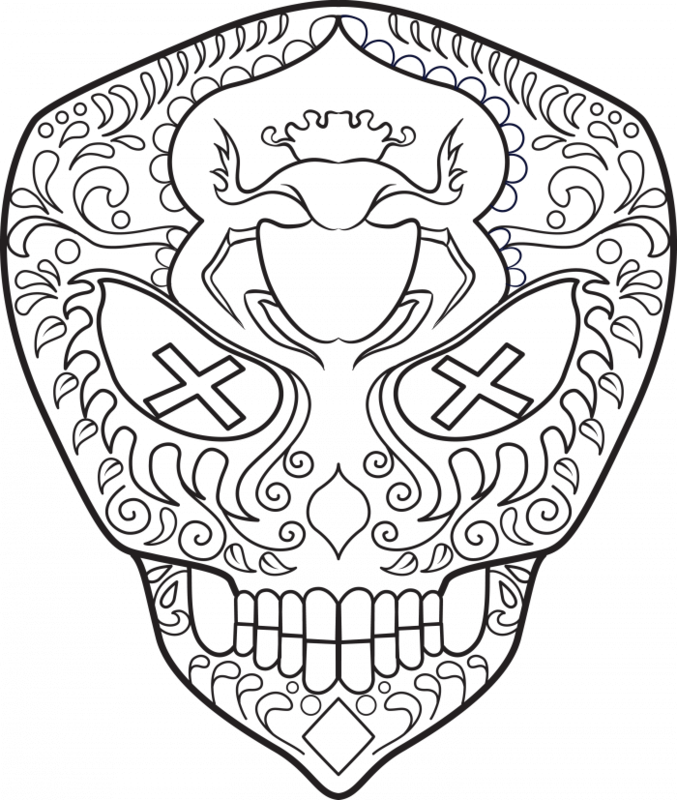 Colour the skull chilly. Sugar Skull is a skull made by compressing sugar. It is – obviously – white in color, but the inner flower designs are colored by expert artists like yourself. 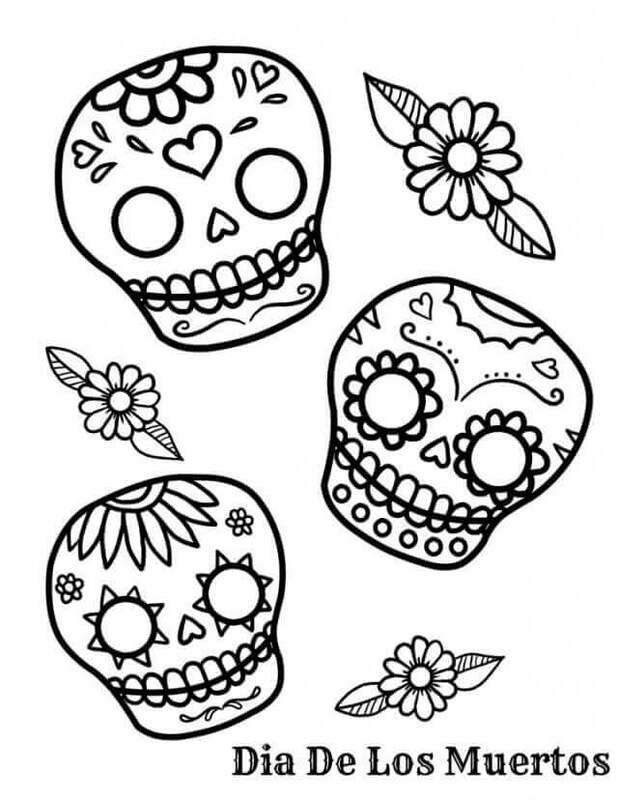 Now you have a chance to set forth your own Sugar Skull better than even those used in Mexico. Print this image now and get started! In Mexico, Day of the Dead is also called Dia De Los Muertos, in their native language. Here is a Mexican picture of a skull bordered with flowers. Can you spot the title ‘Dia De Los Muertos’ below the image? 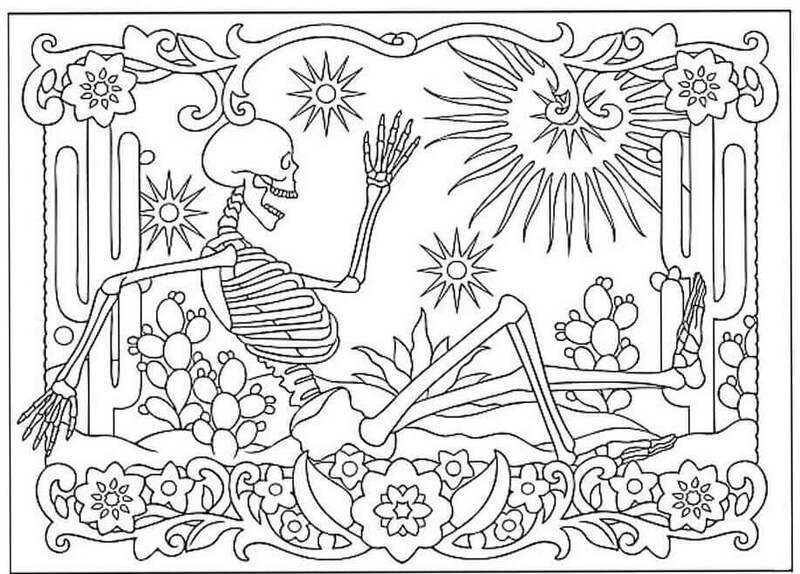 Look at this skeletal body enjoying his summer in the spirit world of the dead. He appears to have a great, warm day after a long time of cold in the world of the dead. Make sure he enjoys his day by coloring the scene to flamboyance. Here is Mr. Potato Head from Toy Story, who is also here to celebrate the Day of the Dead. He wants to pay his respects to his parents (who were also potatoes – naturally). Well, what’s funny is this potato has bones! Anyways, color him great to make him presentable in front of his (dead) parents. 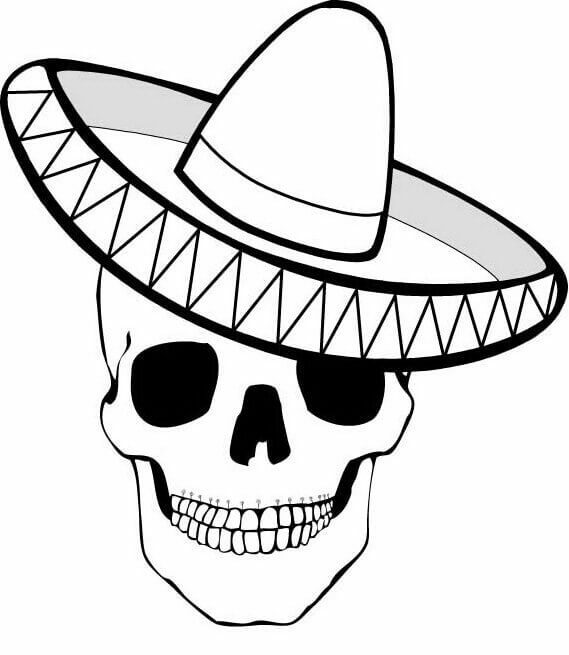 Presenting some skull designs that the Mexicans are going to wear on Dia De Los Muertos. 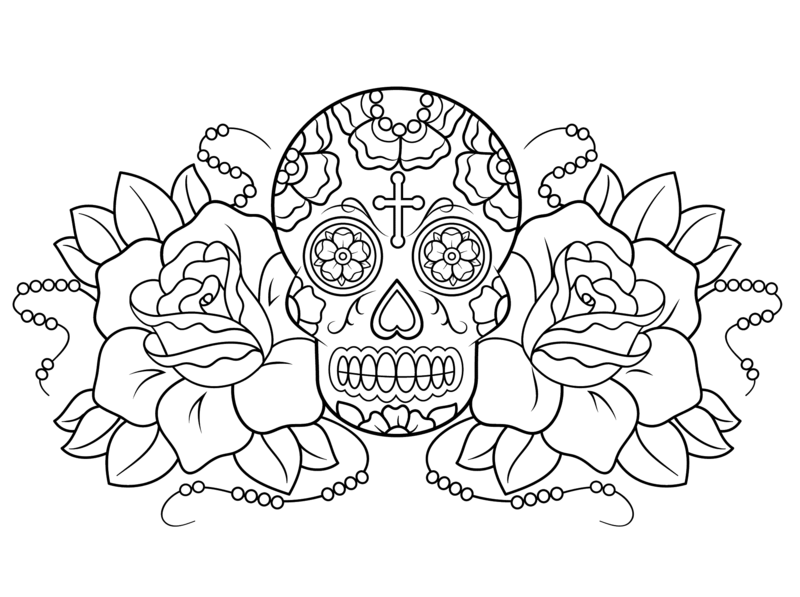 Color the skulls to scariness! It’s not that only the livings enjoy the Day of the Dead. Even the dead do, it’s their day after all! 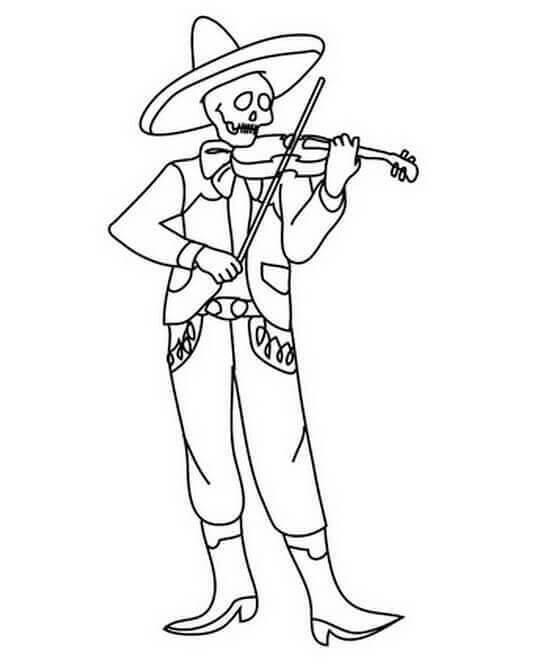 Here is a skeleton enjoying the Day of the Dead, entertaining other Dead by step-dancing and playing his violin! With a musical fest indeed! 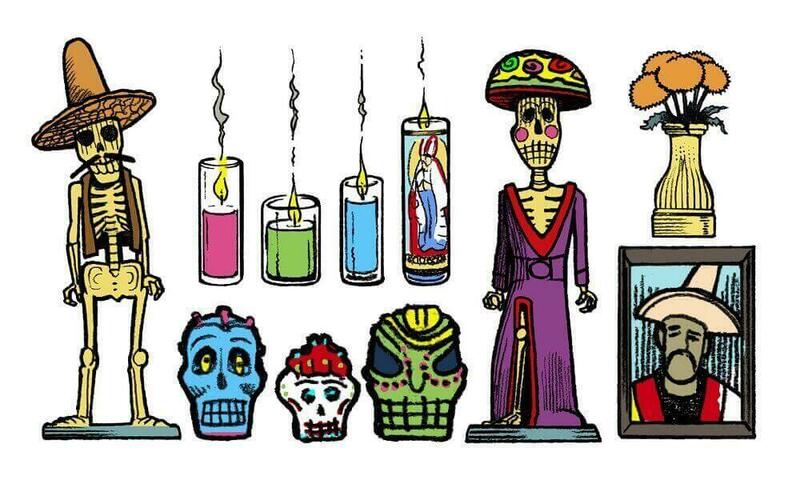 Here is an illustration of the common belief in Mexico, that on every Day of the Dead, the dead in the graveyard come to life – though they are invisible to us. In this image, the setting in the graveyard symbolizes the dead, and the huge skull live in it shows this belief. Bring out those paints and color this illustration to excellence, showing respect to those who have passed! Look at this dead, he is wearing the typical Mexican hat which either musicians or cowboys wear, and his expression of sheer thrill makes me feel thrilled myself! Yee Haw! Colour the cowboy’s hat brown, red, and orange to give the final edges to his cowboy look! 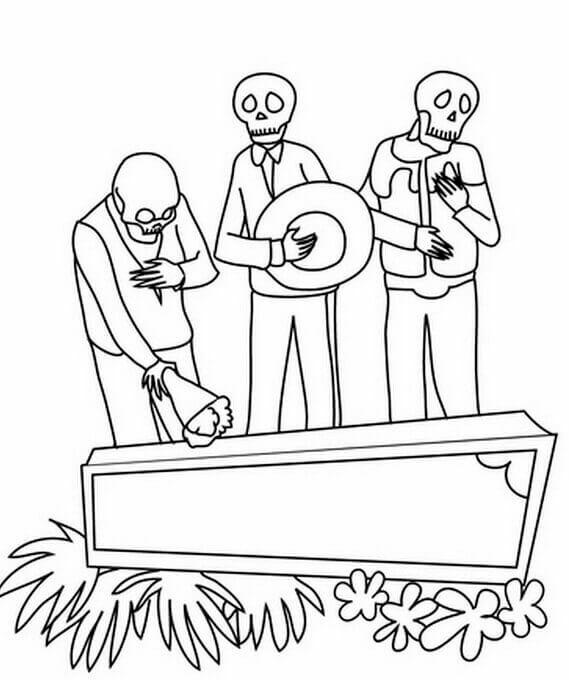 On the Day of the Dead, the Mexicans go to the graveyard to visit those who have passed away. They wear skull masks and formal wear, to pay the respect. This helps them connect the dead to them, bringing a sense of connection. 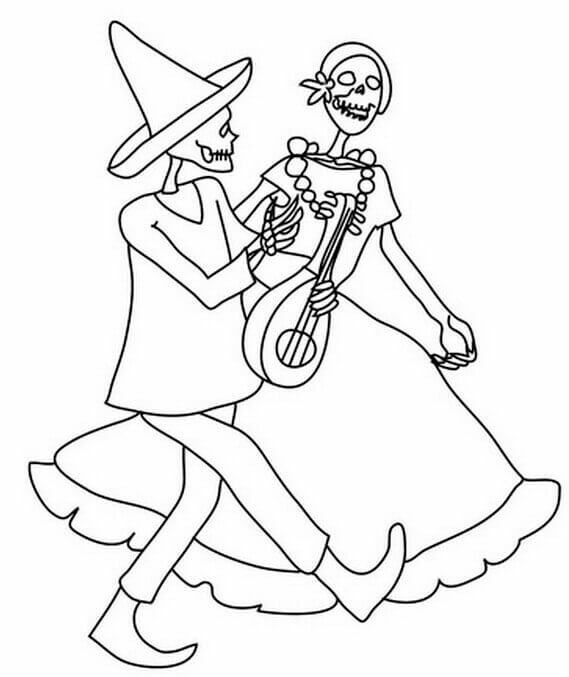 Here is a dead husband celebrating Day of the Dead with his wife. They appear to be enjoying their company on this glorious day dedicated to them. Enrich this romantic moment with colors. 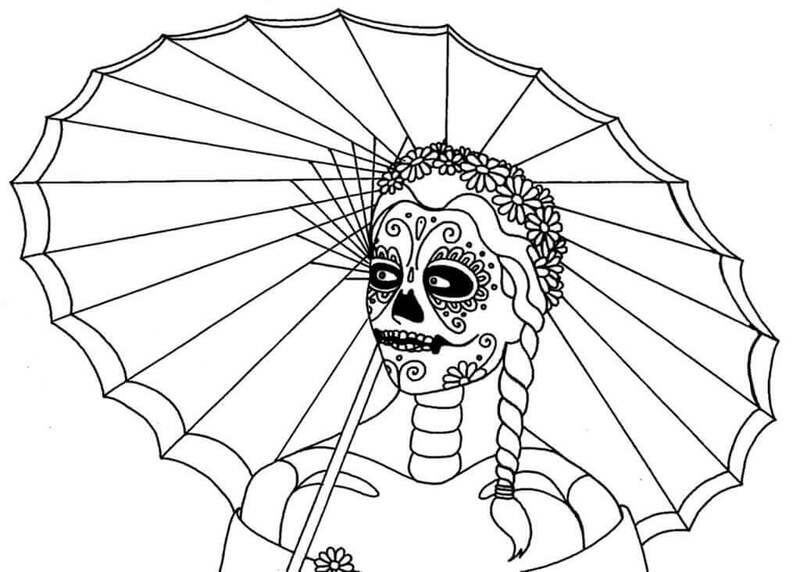 See how this skull woman has taken out for a walk on a sunny day, with a comfortable sun-blocking umbrella. Use your crayons to make the day glamorous for her! So, you must be thinking that Day of the Dead is such a sad day. Well… no! Actually, the Mexicans totally enjoy this day their heads out! Look at this image, for instance, it makes me feel so happy – not sad for the death of the person. 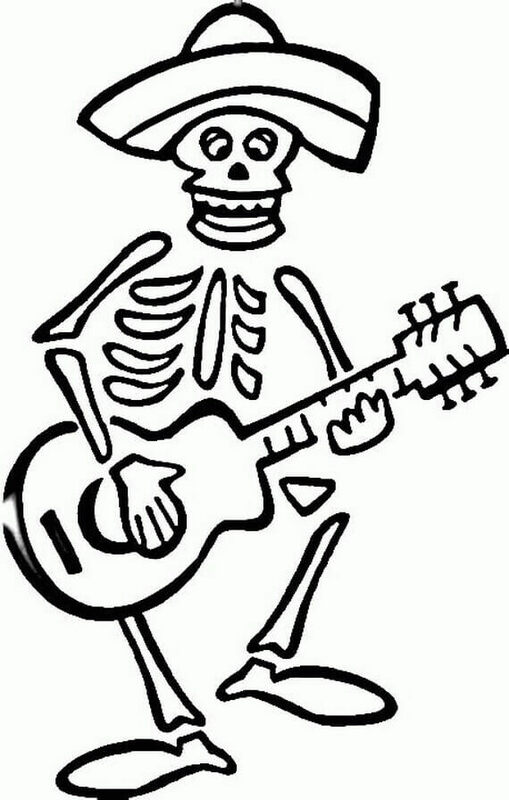 Colour this dancing and singing skeleton with bright hues. 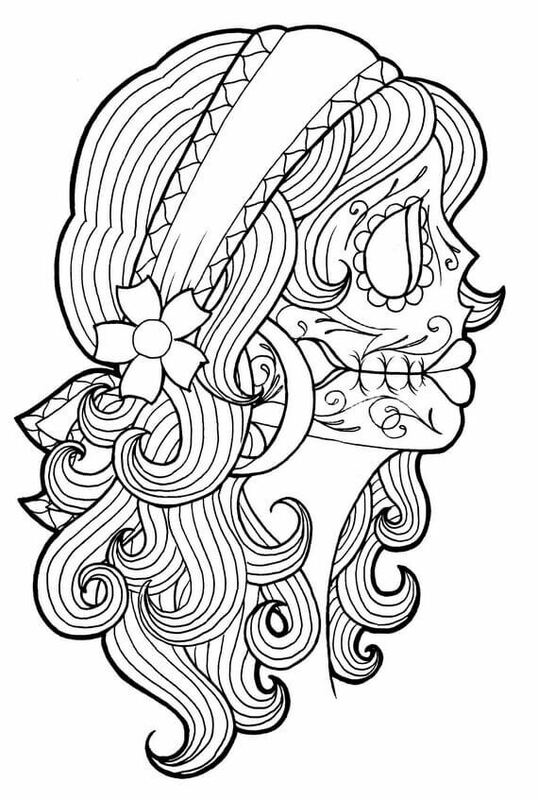 This is an image of a simple sugar skull without many complications. Doesn’t it still look wonderful? This really shows the power of simplicity. The simpler, the more powerful, the better. I’m sure the person wearing this skull will have a fun time, he/she will look just astounding. Oh, hey! You have a chance to wear this sugar skull! 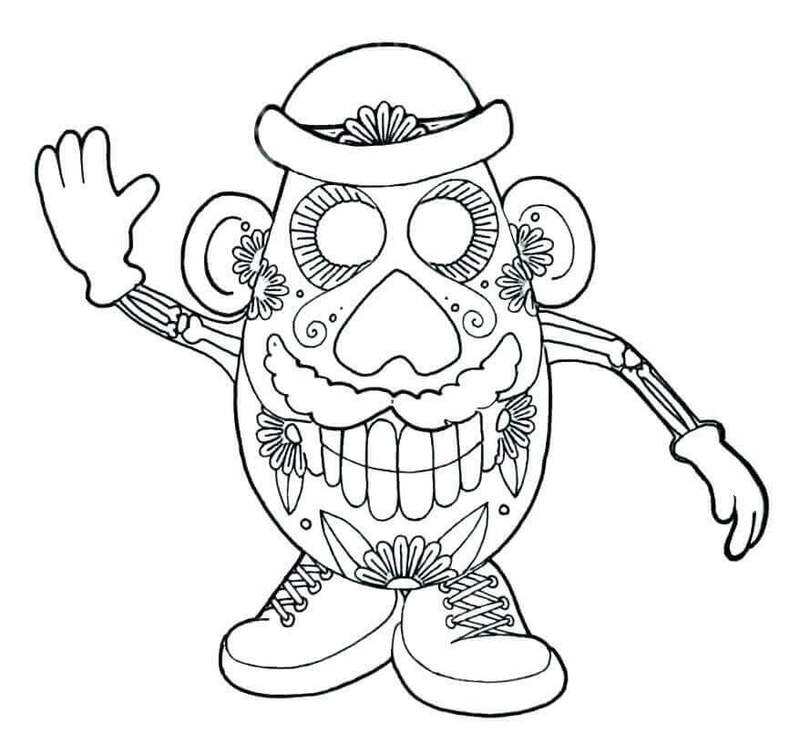 Just print this image, color it as per your taste, cut the outlines neatly, attach a string to either end of the cheek, and wear it as though it were a mask! Here is your chance to celebrate Day of the Dead in Mexican style! 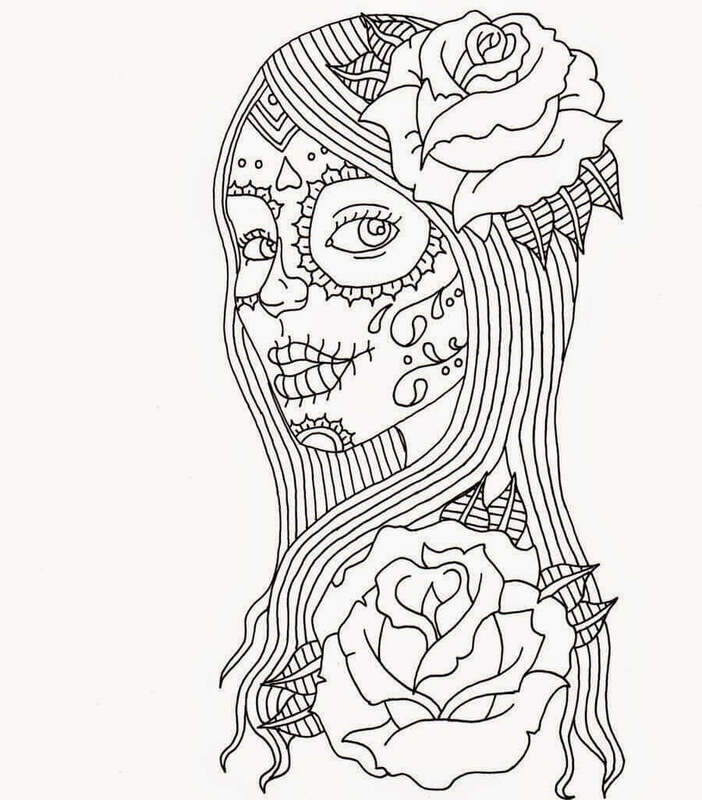 Here is an intricate Sugar Skull design, with complicated patterns and detailed designs. Can you see how complex the design of the eye is in itself? Or talk about the rose, with all the turns and twists over it, this image is just the job of a pro like yourself! 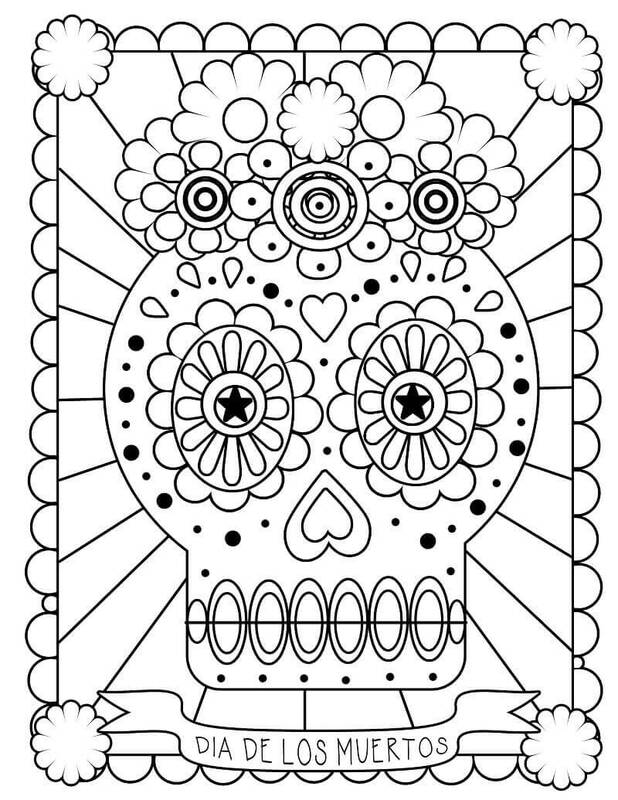 Show off your skills with this sugar skull! 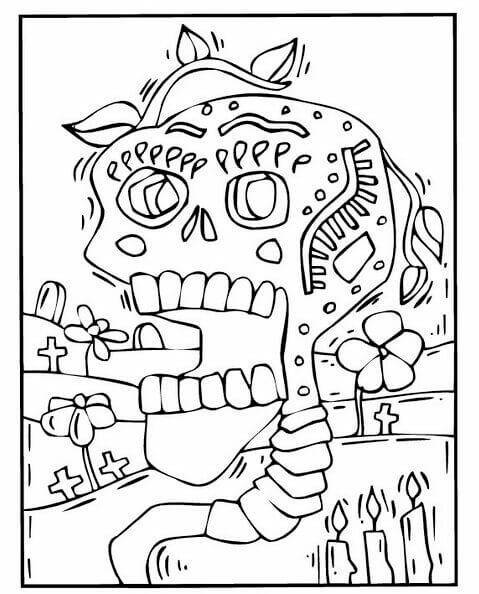 So how did you find the Day of the Dead coloring pictures? I’m sure you could glimpse into the Mexican lifestyle with these 30 excellent pictures. 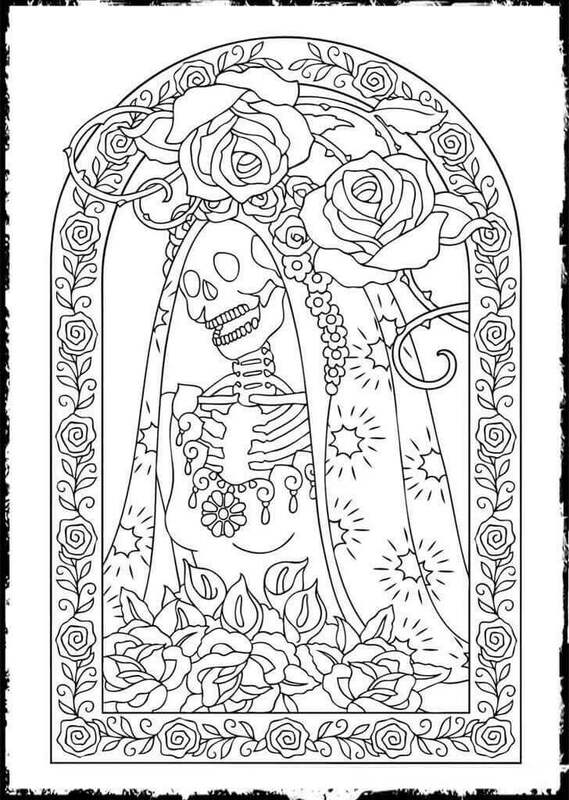 What was your favorite Dia De Los Muertos coloring image? 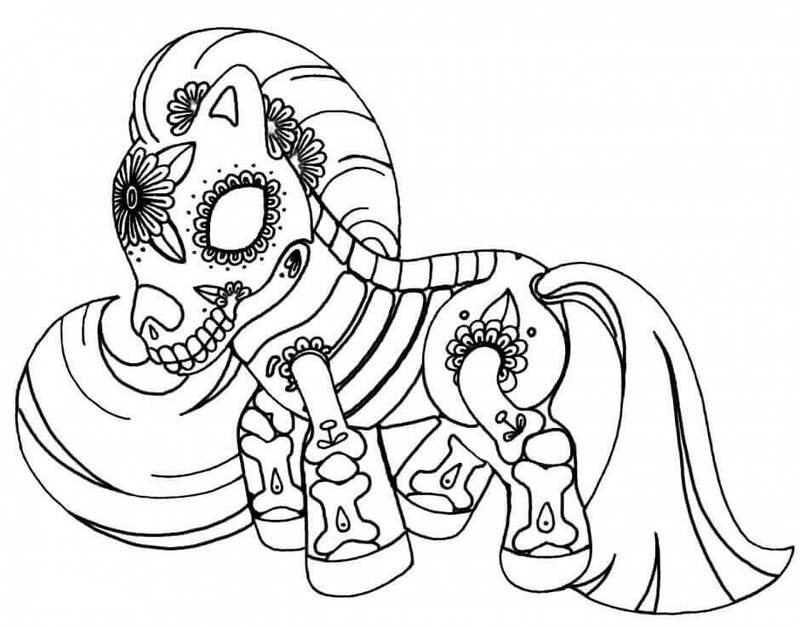 Which of these Dia De Los Muertos coloring sheet do you think you colored the best? Let us know by sending it to us through the comments section below! 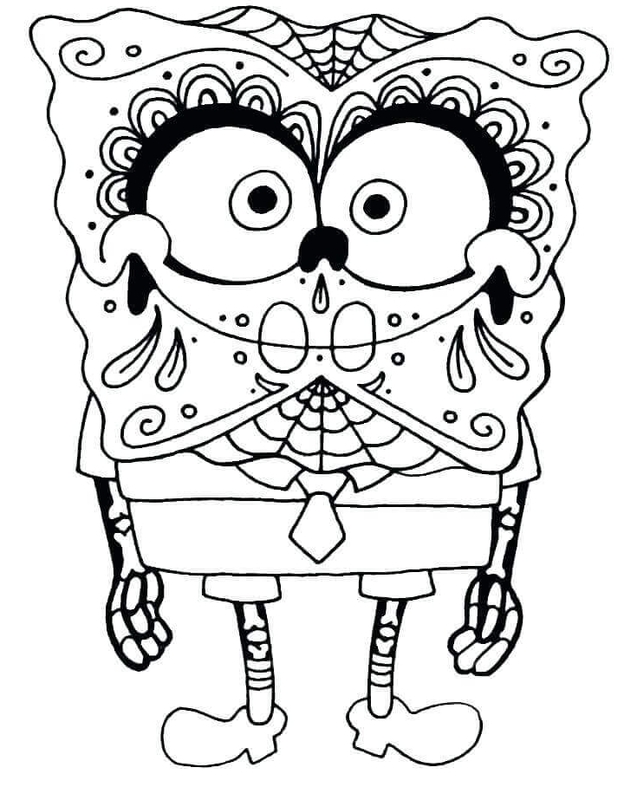 Also, stay tuned with us for more coloring pages that you cannot wait to paint!